Philipp Oeser (lichtwerk) reassigned T61391: MeshDeform Modifier does not work on a solidified planar mesh from Philipp Oeser (lichtwerk) to Bastien Montagne (mont29). This was indeed working fine in 2.79. In 2.8 it updates fine if you go back to objectmode. So looks like BKE_modifier_get_evaluated_mesh_from_evaluated_object doesnt really give us fully evaluated mesh (at least not for objects with generative modifiers in editmode)? Sebastian Parborg (zeddb) merged T61348: Cant animate object outliner properties into T56635: Driver/Keyframes on object visibility do not update viewport. Duarte Farrajota Ramos (duarteframos) added a watcher for Dependency Graph: Duarte Farrajota Ramos (duarteframos). Campbell Barton (campbellbarton) triaged T61080: Undo not working at all when you disable "Global Undo" as Confirmed, Low priority. Sergey Sharybin (sergey) closed T61030: Single property drivers for properties in the same datablock not evaluated in correct order as Resolved by committing rB9a7ea778b375: Fix T61030: Drivers for shape keys not evaluated in correct order. Sebastian Parborg (zeddb) merged T61034: Keyframeing outliner "view in..." crashing blender into T56635: Driver/Keyframes on object visibility do not update viewport. Brecht Van Lommel (brecht) assigned T61030: Single property drivers for properties in the same datablock not evaluated in correct order to Sergey Sharybin (sergey). Brecht Van Lommel (brecht) created T61030: Single property drivers for properties in the same datablock not evaluated in correct order. Philipp Oeser (lichtwerk) assigned T61014: Assert adding a driver that uses a single property of a scene ID to Sergey Sharybin (sergey). Philipp Oeser (lichtwerk) created T61014: Assert adding a driver that uses a single property of a scene ID. Brecht Van Lommel (brecht) merged T60937: Fail to animate Disable Obejct from Preview or Render from Collection list into T56635: Driver/Keyframes on object visibility do not update viewport. Sergey Sharybin (sergey) closed T56008: Crash with a rotation on z of a camera (follow path and track to) as Resolved. Can no longer reproduce the issue. Considering it solved by all the recent changes. If the issue is still happening make a new report with updates file and steps to reproduce the issue. Brecht Van Lommel (brecht) added a comment to T60771: Possible bug in render depsgraph for object_instances. I agree, we need better docs for this. Jonathan Dent (jdent02) closed T60771: Possible bug in render depsgraph for object_instances as Invalid. Brecht, your suggestion works. Thanks for the input! Jonathan Dent (jdent02) added a comment to T60771: Possible bug in render depsgraph for object_instances. Well that's good that it's not a bug. This should be mentioned in the Python API section of the release notes. For addon devs like me there is no mention that you need to use the engine to set the frame now instead of the scene. Then I waste you guys' time posting reports on bugs that aren't bugs. For rendering, use engine.frame_set() instead of scene.frame_set() to change the frame. Philipp Oeser (lichtwerk) closed T60417: Hair not instantly updating when editing guide curve as Resolved by committing rB32c2e941e639: Fix T60417: Hair not instantly updating when editing curve guide. Philipp Oeser (lichtwerk) triaged T60771: Possible bug in render depsgraph for object_instances as Needs Information from User priority. Philipp Oeser (lichtwerk) added projects to T60771: Possible bug in render depsgraph for object_instances: BF Blender, Python, Dependency Graph. Brecht Van Lommel (brecht) closed T60742: crashes when putting particles Along a Curve Without Curve Guide as Resolved by committing rB8d4bad39c149: Fix T60742, T55974: crash using mesh/curve surface force fields..
Philipp Oeser (lichtwerk) assigned T60742: crashes when putting particles Along a Curve Without Curve Guide to Sergey Sharybin (sergey). note: to get it to crash easier, lower the number of particles to 100 in the file provided with this report. This is effectively marking almost all of the relations as non-killable. This might be ok if those are done within a single bone channel only, but this definitely shouldn't be applied to inter-bone dependencies (i.e. from parent to solver). That will never be a reliable solution, and will fail sooner or later. 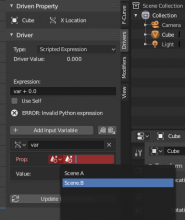 Brecht Van Lommel (brecht) merged T58593: Blender 2.8 - Viewport Display Animation doesnt work / hard crashes blender into T56635: Driver/Keyframes on object visibility do not update viewport. 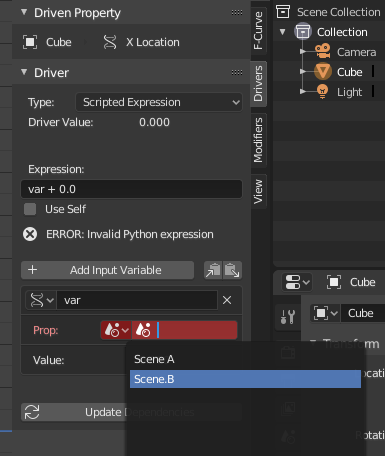 Brecht Van Lommel (brecht) merged T60642: Cannot animate "Disable object in renders" property into T56635: Driver/Keyframes on object visibility do not update viewport. Brecht Van Lommel (brecht) merged T58817: Visibility driver don't work in linked file into T56635: Driver/Keyframes on object visibility do not update viewport. Jacques Lucke (JacquesLucke) triaged T59453: hook bug as Needs Information from User priority. Philipp Oeser (lichtwerk) raised the priority of T59453: hook bug from Needs Information from User to Needs Triage by Developer. Brecht Van Lommel (brecht) merged T60521: Keyframe viewable objects not working correctly into T56635: Driver/Keyframes on object visibility do not update viewport. Philipp Oeser (lichtwerk) reopened T60417: Hair not instantly updating when editing guide curve as "Open". NIklas Schneider (Blenderfan80) closed T60417: Hair not instantly updating when editing guide curve as Resolved. Thank you all for your incredibly fast fix. I added the lines and It works! This is also my first own blenderbuild. Fantastic! K Wolf (Wolfie138) added a comment to T56635: Driver/Keyframes on object visibility do not update viewport. Jean-Christophe Romain (alewinn) added a comment to T56635: Driver/Keyframes on object visibility do not update viewport. Still don't work with today build (downloaded from blender.org / beta section / windows 64). Philipp Oeser (lichtwerk) added a revision to T60417: Hair not instantly updating when editing guide curve: D4193: Fix T60417: Hair not instantly updating when editing curve guide. NIklas Schneider (Blenderfan80) added a comment to T60417: Hair not instantly updating when editing guide curve. If you go to editmode and change the curve , the hair will only update after switching back to objectmode. 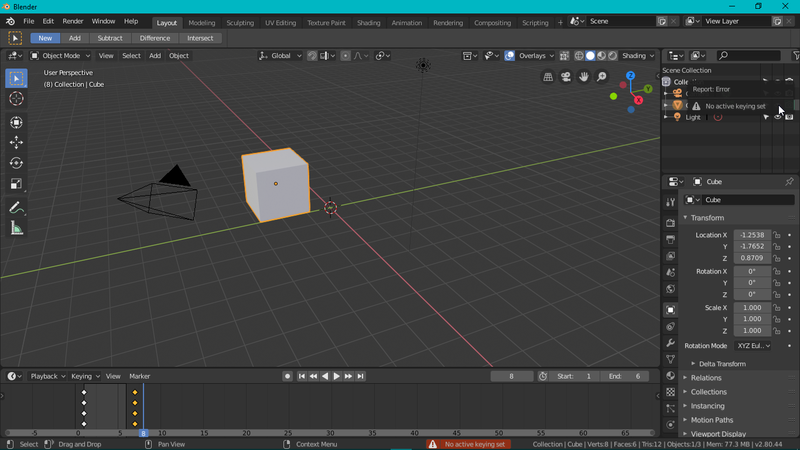 It is immedeatly updating in blender 2.79 which is great. Philipp Oeser (lichtwerk) edited projects for T60417: Hair not instantly updating when editing guide curve, added: BF Blender, Dependency Graph; removed BF Blender: 2.8. Mafer M (MaferM) added a comment to T56635: Driver/Keyframes on object visibility do not update viewport. Really hoping this is fixed soon. It feels like a basic feature for all animators. Brecht Van Lommel (brecht) merged T60162: Collections issues when keyframed into T56635: Driver/Keyframes on object visibility do not update viewport. Philipp Oeser (lichtwerk) added a comment to T56635: Driver/Keyframes on object visibility do not update viewport. Philipp Oeser (lichtwerk) merged T58187: object visibility controlled by driver bug into T56635: Driver/Keyframes on object visibility do not update viewport.